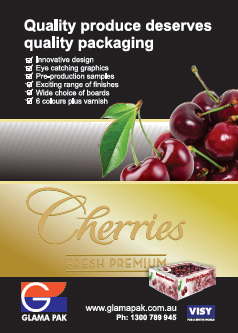 Glama Pak and Visy have been a great supporters of the Australian cherry industry for many years and as the industry continues to expand, they will continue to provide customers with the innovative, protective and eye-catching packaging, meeting the needs of both domestic and international markets. Freshcare is conducting a survey of its major stakeholders to gather valuable feedback to ensure it is well positioned to support the needs of industry into the future. The survey is open for 2 weeks and is estimated to take 5-10 minutes of the participants time. Non-tariff barriers can be any kind of ‘red tape’ or trade rules that unjustifiably restrict the flow of goods and services. The Department of Foreign Affairs and Trade is seeking involvement from exporters as part of the department's action plan to reduce non-tariff trade barriers. To find out more about our associate members please visit their website. Navigate to "Member Associations" using the menu at the top of the page, then select "Member Area" from the drop down list. Login to the NEW "members" section using your email address and the password that was sent to you. 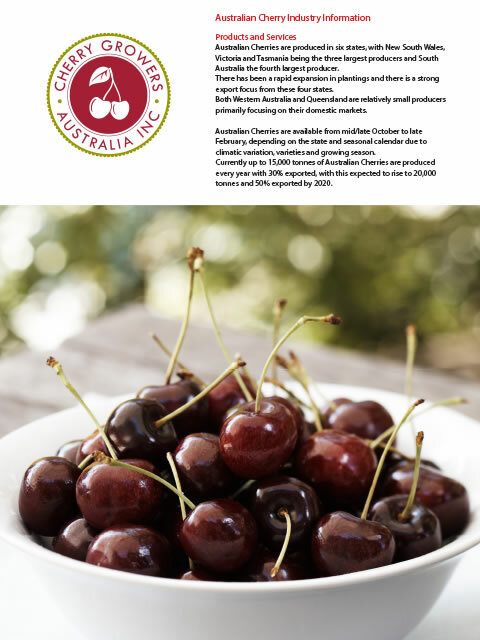 CGA's comprehensive export manual clearly explains export market requirements to over 20 countries.